Regular swimmers in the UK will not have failed to miss all the advertising at their local pool for the 2015 Swimathon. This has made me think back on the times I have taken part in the Swimathon over the last nearly 25 years. The Swimathon is a swimming challenge which absolutely everyone who loves swimming can take part in. Distances range from 1.5km to 5km and you can complete as a team or an individual. The Swimathon raises money for some great charities. It doesn’t matter how much you can raise – all donations are welcome. 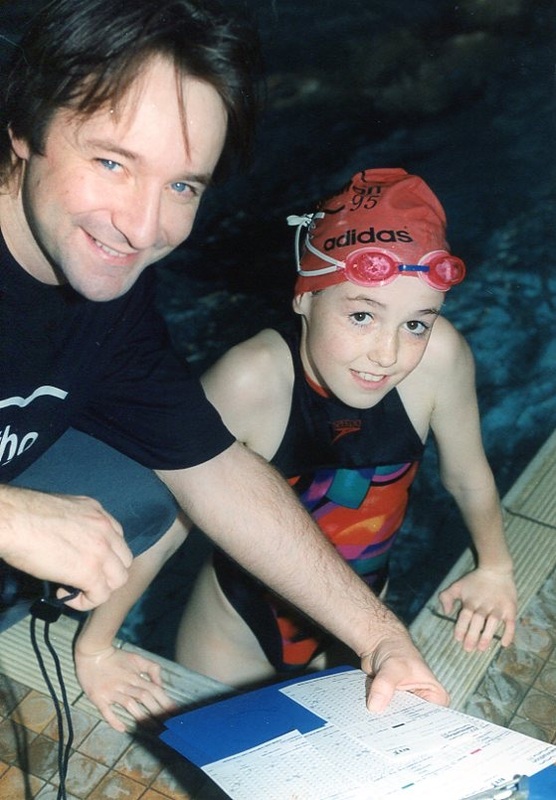 I first took part in the Swimathon when I was 10 years old at Balham Leisure Centre. I don’t remember this but my mum said I had a really bad cold and was really not well enough to swim 5km. However, I was determined I was going to do it and when I have set my mind to something there is really not a lot of stopping me. I managed to make it through and completed in around 2h and 45mins. I did the Swimathon each year after that at Balham until I was 16. Highlights included the year that Neil Pearson of drop the 1990s cult show Drop the Dead Donkey fame started us off. My fastest time for the event was 1h and 12m in 1996. 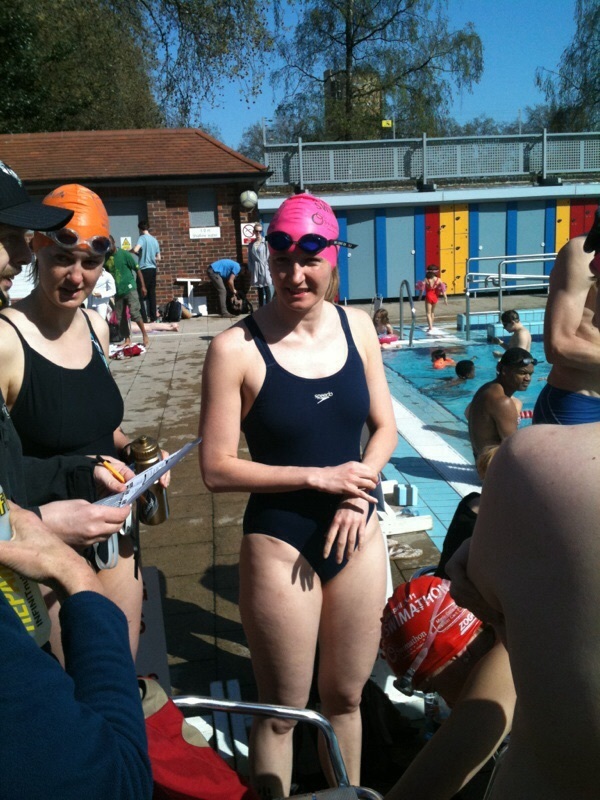 After I went to University I didn’t do the Swimathon for a number of years until Kate persuaded me to join her at London Fields Lido for the event in 2011. 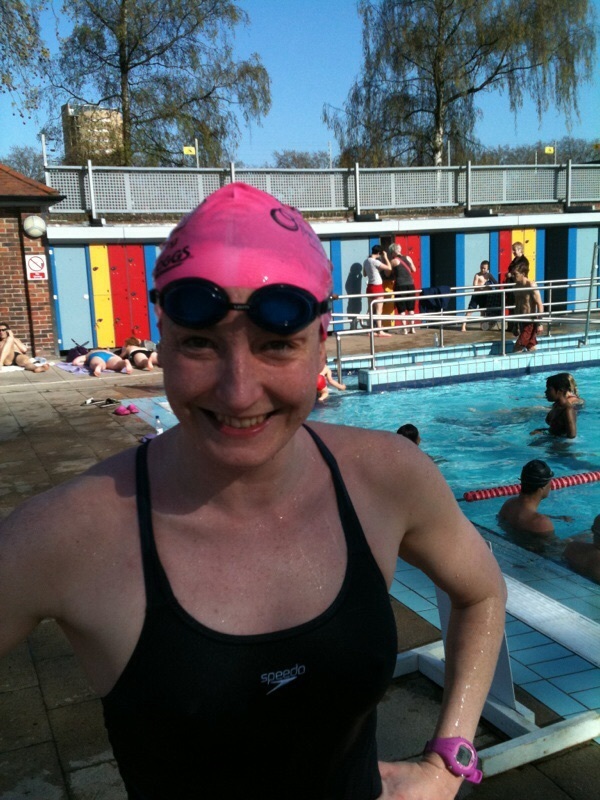 London Fields is a great pool for the Swimathon as it is a heated outdoor 50m pool. The day was lovely and sunny and my mum, uber Team Mermaids supporter cycled over from SW London to watch. The event was somewhat chaotic in its organisation and it was with a sinking heart that I saw the competitor in front of me get in and start swimming breaststroke (you are meant to be sorted into lanes of people of similar speed). One of the advantages of a 50m pool over a 25m pool though is that you only have to try and pass slower swimmers half as often! I finished in 01:19:30 (slightly ashamed that my 16 year old self was so much faster) and Kate finished in 01:31:00. Manda and I decided we wanted to try and swim at a good and quiet time in 2013. We therefore decided to swim at Putney Leisure Centre on a Friday evening. Our rationale was only swimming losers like us would want to give up their Friday night to do the Swimathon. In this respect we were right and there were people of similar speeds in our lane making it much easier to just keep going. In all other respects though the night was a disaster! About 2.5km in Manda hit her hand on a metal hook sticking out of the pool badly bruising it and she had to get out. After having cycled about 20 miles that day I kept on getting really awful cramp in my calves and kept on having to stop to stretch. The life guard kept on asking me if I wanted to get out. No way! Mermaids never quit! I finally trailed in in 01:23:44. My 16 year old self is becoming increasingly ashamed of me! After our 2013 experience we decided to give 2014 a miss. Plus the weekend of the Swimathon was also the weekend schedule for my hen weekend! My amazing friend Alison though knows me too well and after a 3am night of drinking she had entered us into the Swimathon on Sunday morning at the London Olympic Pool no less! Knowing we wouldn’t be up to much Alison had only entered us into the 1.5k team event rather than the full 5k individual event. 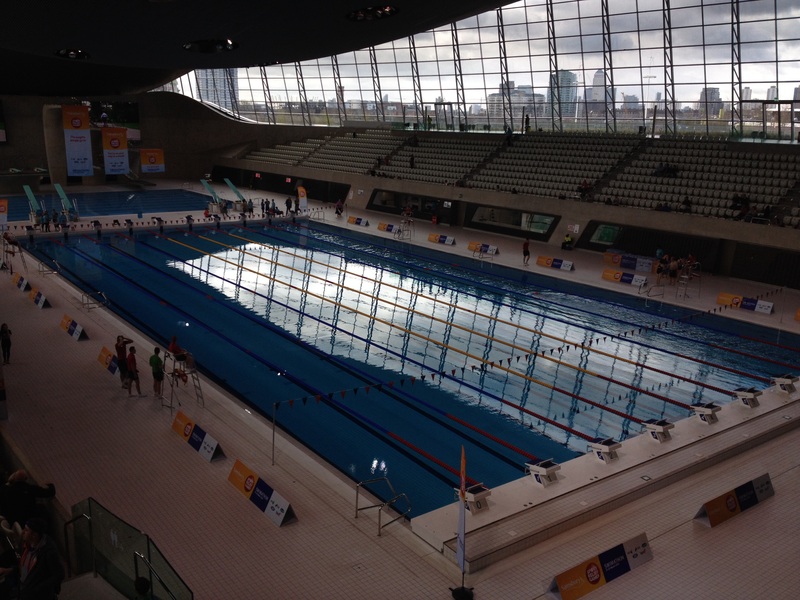 Swimming in the Olympic Pool was such a fantastic experience thinking you were swimming in the same pool as all the greats from London 2012. 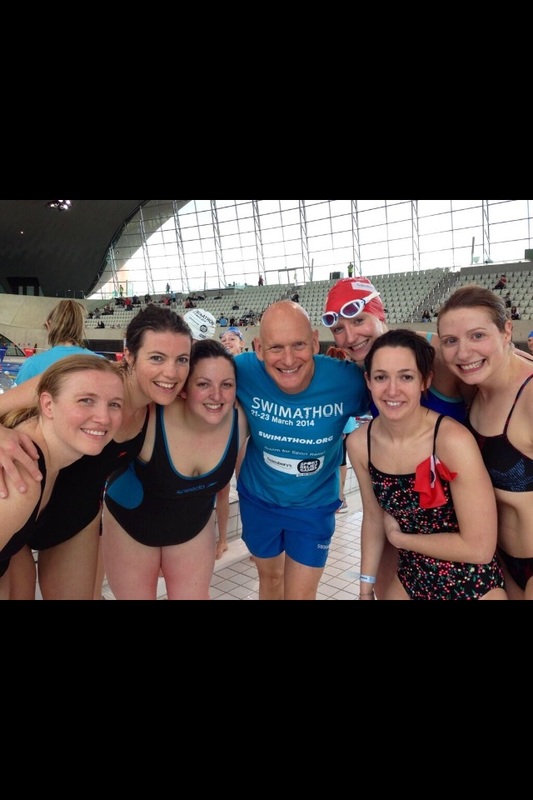 To cap the day off we got to get our picture taken with British Olympic legend Duncan Goodhew who won Gold in the 100m Breaststroke at the 1980 Moscow Olympic Games! So that brings us up to date! Looking forward to 2015….I am due to have my first baby at the end of January 2015 so I am hoping to be back in sufficient shape to swim this year on the weekend of 17 – 19 April although I’m sure not in a time my 16 year old self would be impressed with! For those of you who are keen details of the 2015 Swimathon are below.